Many party promises are revolving around issues politicians hope will resonate with families, ranging from the Conservatives' tax credits for first-time homebuyers or children's arts programs to pledges from the Liberals and NDP for child-care and early education spaces. Warm, fuzzy, family-friendly images of Canada's political leaders have popped like jack-in-the-boxes in this election campaign. On websites, in television ads, the message is clear — families are firmly in the sights of each party. Many promises revolve around issues politicians hope will resonate with families, ranging from the Conservatives' tax credits for first-time homebuyers or children's arts programs to pledges from the Liberals and NDP for child-care and early education spaces. The focus on families is so apparent that as the campaign was moving into the final week, the Tories focused again on their $1,200 child-care benefit, announcing it would be indexed to inflation and tax-free for single-parent families. So why are the parties targeting families? Actually, they're targeting women, the analysts say. Issues that have in the past been seen as women's issues — child care in particular — have been recast this time around as family issues. Elizabeth Goodyear-Grant, a political science professor at Queen's University in Kingston, Ont., sees this trend as an attempt to diffuse the rhetoric around such issues a bit, bringing the discussion to a level that anyone can agree with it. "No one wants to be seen as anti-child or anti-family," she says. "Especially in the case of [Conservative Leader] Stephen Harper, the turn to family is also a strategic move to soften his image." Conventional wisdom has tended to suggest women favour liberal or centrist parties. "Urban women under 35, call it 40 — I think those are the most important segments in terms of achieving a breakthrough for the Conservatives," Bruce Anderson, president of polling firm Harris-Decima, said early in the campaign. "And conversely, I guess, for the Liberals, holding their ground with those groups and perhaps encroaching upon the Conservative support among older women." What is each party offering families? The Conservatives repeatedly draw attention to the $1,200 annual child-care benefit they introduced in 2006 and repeatedly say the Liberals would cancel it, which isn't quite true. See Reality Check. Some families are pleased with the family values message of the Conservatives, said Goodyear-Grant, who also noted that many of the proposals are being implemented through the tax system. "Some would argue funding programs is the better way to go," says Goodyear-Grant, adding some families may not have the money to pay upfront for initiatives for which they'd get a credit later, such as the Tories' tax credit of up to $500 for children's arts programs. Extending parental leave to the self-employed. Offering first-time homeowners a tax credit of up to $5,000. Allowing income splitting when a spouse is caring for a family member with a disability. Banning "kiddy packs" of cigarillos. The Liberals repeatedly say they won't cancel the Tories' child-care benefit. They also draw attention to their $1.25-billion plan for a national child care and early education program that the party claims will add 165,000 day-care spaces under a universal, community-based initiative. But it is a plan, Goodyear-Grant notes, that would only come into full swing in the fourth year of a mandate. Also, she says, there is room for skepticism about this, given the Liberals' poor track record on child care. A refundable child tax credit that would eventually rise to $350/child. A new guaranteed family supplement of up to $1,225 for low-income families with children. An increase to the guaranteed income supplement for seniors. Changes to parental leave, allowing a shorter period with increased payments, or a longer period with lower payments. The NDP says it would enhance the Tories' child-care benefit and focuses much of its attention on its push for a national child-care program that would have 220,000 spaces by the fourth year of a mandate. A plan to allow more seniors to be cared for in their homes. A bid to improve the caregiver benefit available through Employment Insurance. A national minimum wage of $10/hour. The Green party says the Tories' $1,200 child-care benefit doesn't begin to address the needs of Canadian families. The party wants to "restore and revamp" the 2005 agreement involving the federal government, the provinces and the territories for a universal child-care program. Efforts to restore and expand a summer job program. Allowing income splitting within families, financed by a carbon tax. 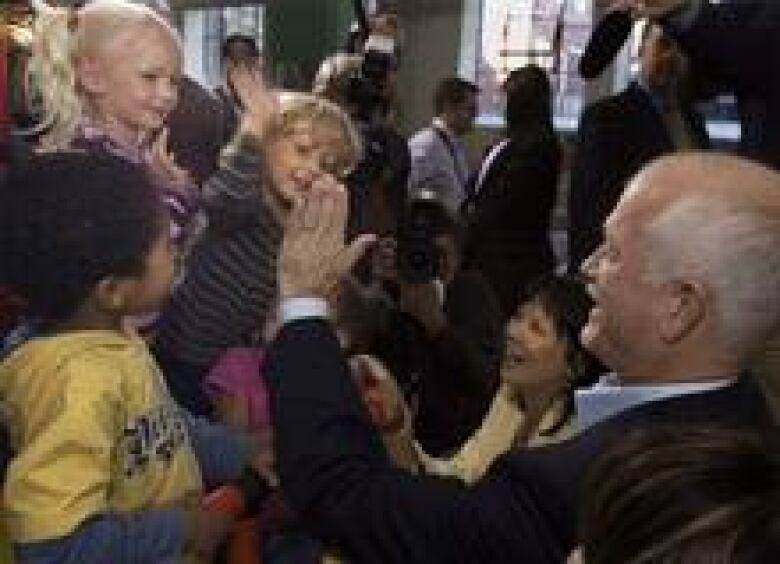 A tax credit for employers to create workplace child-care spaces. A 10-year interest-free loan program for first-time homebuyers. Increased payments under the Employment Insurance program. An $8,000 tax credit for new graduates who return to the regions to work and live there. An increase in monthly benefits for least wealthy seniors of $110. Cost … and where would the money come from? Determining how much the family-friendly initiatives of each party would cost is not easy. Several platforms lay out broad totals for support for various groups or projects. In some instances, specific proposals include their costing. 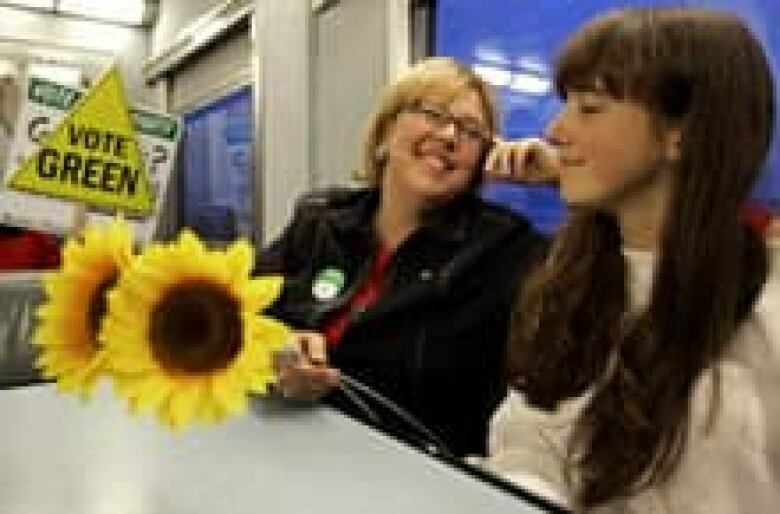 Occasionally, there is specific description of the funding source, such as the Greens using a carbon tax to allow income splitting within families. But, as with any other issue, there is no guarantee the funding will be forthcoming once a new government takes office. The big question looming over all of this, says Grace Skogstad, a political science professor at the University of Toronto, is the current economic uncertainty. "How many of these promises are going to be able to be kept?" she asks, noting all the proposals depend on government spending or forgoing revenue. Plus, the surplus situation in Ottawa isn't what it once was. "We're not sitting on the cushion we were at one time," says Skogstad. Still, whether any family-friendly promises come to fruition depends on political will of the next government as it weighs all its spending. "The money is there. It's a question of priorities," said Goodyear-Grant. So who is the most family-friendly? Determining which party offers the best proposal for your family could become a personal decision, depending on your family situation and your view on raising children — whether it is something the family looks after on its own, or whether public support has a greater role and responsibility. "I think with the Conservatives, it's about reinforcing the notion the family has the primary responsibility for child rearing," says Skogstad, noting their vision or focus on the family seems to centre on two-parent families with Mom at home raising the kids, a view that for a lot of people is appealing, but also doesn't necessarily "jive with a lot of people's reality." "We know the family structure has changed hugely." For the NDP, and to some extent the Liberals, she adds, there is a sense of a public responsibility in raising kids, expressed for example in their support of publicly funded child-care spaces. Goodyear-Grant sees the NDP as offering "the best deal for families," noting for example their position on child care, but she also says the party is "no position to form a government." And with the turmoil hitting the stock markets in the last week of the campaign, family issues may take a back seat to other worries. "People are so fixated on the economy," says Nik Nanos, president and CEO of polling firm Nanos Research. As he sees it, the gender differences that had existed at the beginning of the campaign was gone by the time the final stretch run began earlier this week. That means family issues are unlikely to have any effect on the outcome of the election, Nanos says. "What's the use of having a child-care program if you're worried about whether you'll have a job?"